The old way of cleaning meant using caustic chemicals to blast away dirt and bacteria. Yes, they were effective but these methods and products are known to be highly toxic to people. 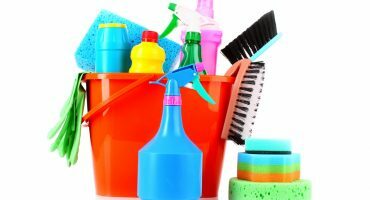 Green cleaning techniques and products we use avoid the use of products that contain toxic chemicals, some of which emit volatile organic compounds causing respiratory, dermatological and other conditions. Menage Total has certain standards that must be kept, the products we use have to be eco-friendly and effective. The most reliable supplier that provides us with the cleaning products needed is the one that offers eco-friendly, quality products as well as cost-efficient. The eco-friendly factor is of paramount importance for Menage Total. It represents 50% of our requirement. More data on how we choose our cleaning product supplier is available on request.